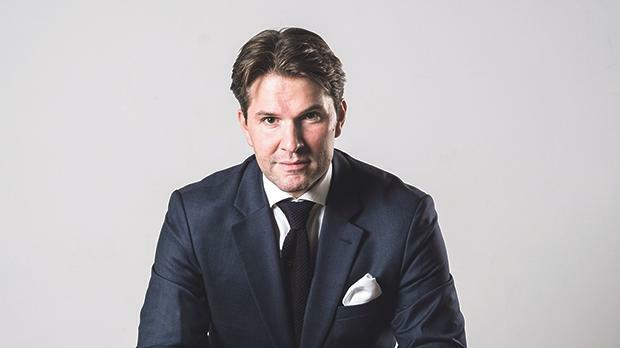 Malta has embraced blockchain and virtual financial assets, which signifies a forward-thinking attitude toward leadership within the industry, says Malta Digital Exchange’s new CEO Johan Ditz Lemche. You are only a few weeks old as MDX CEO, but have been residing in Malta for the past seven years. What do you bring to MDX? I have been working in the financial services industry for almost 15 years and have a solid academic background with a Masters degree in economics from the University of Copenhagen. Building up trust and integrity have opened the doors for multiple senior management and board positions within the financial markets industry, and I believe my experience provides a solid foundation for a leadership role. Over the years I have gained extensive knowledge on an international level in financial modelling and regulation, liquidity and risk management and, recently, alternative assets. I am also a committee member of the Financial Markets Association Malta (FMAM) and have authored educational documentation on industry best practices. My background working for some of Europe’s major specialised banks has supplied me with advanced technical knowledge and management capabilities, which will be a benefit to MDX. Blockchain and cryptocurrencies are disrupting the financial sectors locally and internationally. Does Malta have what it takes to adopt this disruption and lead the sector in Europe? Malta is a first-mover in the fast-growing sectors of digital technologies in general and Distributed Ledger Technology (DLT) in particular. There are great opportunities in these areas and Malta is keen to position itself as the natural destination for businesses that operate in this space. During recent times, the Maltese government has engaged extensively with private parties across various sectors, both local and international, as well as with lead regulators in order to identify the required changes in the legislative and administrative framework for Malta to become a leading jurisdiction in this area. Malta has embraced blockchain and virtual financial assets, which signifies a forward-thinking attitude toward leadership within the industry. MDX will soon be launching institutional-grade security tokens. What technology are you leveraging for these tokens? From a blockchain technology point of view, we propose to use a combination of Hyperledger and Ethereum-based smart contracts as part of the issuance of security tokens. The operations of the exchange itself will remain centralised, albeit with major technological improvements when compared to legacy systems. Furthermore, MDX proposes to leverage Paritech’s proprietary technology, Pari Depth, by which MDX can be accessible from the Thomson Reuters Eikon Terminal, hence providing institutional-grade access and a means for widespread institutional adoption. How do such securities avail of blockchain technology? At MDX, we believe there are five main advantages of blockchain for the securities industry: greater transparency, enhanced security, improved traceability, increased efficiency and speed, including instant settlement (T+0) and reduced costs. How will these tokens tie in with the push for corporations to digitise their assets? We all live and work in the internet era, where the constant evolution of technologies is transforming the business landscape and the pace of change is accelerating. Using the latest technologies enables corporations to raise capital in a more efficient manner and to access a wider pool of potential investors. You aim to become the world’s premier security token exchange. What tools do you have in place to enable market efficiency, accessibility and transparency? By bringing in a team with more than two decades of experience in best practices within the existing regulatory environment, MDX’s proprietary technology, together with the application of DLT, will intrinsically foster efficiency, accessibility and transparency.